Fans of Laura Ingalls Wilder’s famous series of books will take great pleasure in getting to see her family home and over 2,000 artifacts from the author’s life at the Ingall’s Homestead in De Smet. 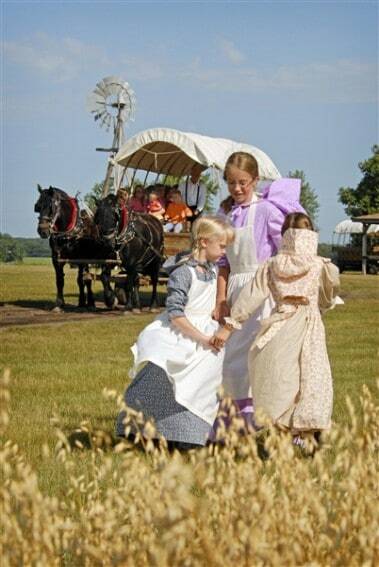 Visit in the summer for a wider appeal of old-fashioned family fun when you can camp, take covered wagon tours, wear pinafores, bonnets, and straw hats while you are a student at the Little Prairie School or try your hand as a pioneer as you make rope, grind wheat, shell corn and make your own corn-cob doll. Each July, the Laura Ingalls Wilder Pageant recreates part of the author’s life in theatrical fashion outdoors at the Homestead. Been there? Share your scoop with other Trekaroo users. Billboards offering free ice water in 1931 put the only drugstore in Wall, SD on the map. 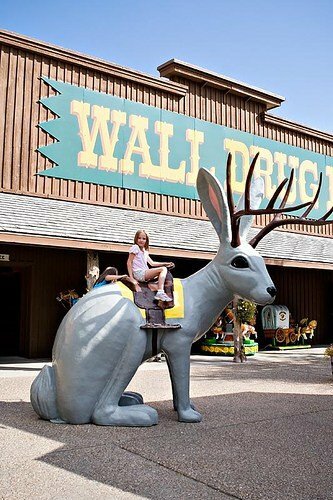 Today, Wall Drug greets almost 20,000 visitors on a summer day, many buying a $.05 cup of coffee or a cute, albeit kitschy, souvenir to take home. Signs line Intertstate-90 for over 500 miles pointing the way to Wall Drug; by the time it arrives, a massive gift-shop and restaurant in the middle of the prairie, you and your kids will feel as if you have come upon the greatest thing since sliced bread. And really, you have. Wall Drug is a family owned and operated wonderland of touristy wares, interesting photo ops, cheap local food and a fun, imaginative rest stop in the middle of a long car trip! Located on the edge of the Great Plains just outside of Wall, Badlands National Park is a beautiful and unique terrain full of 244,000 acres of buttes, spires, and rolling grasslands. Drive the highway 240 Loop for an hour overview of many of the park’s features including the Badlands Wilderness where you might spot bighorn sheep, coyotes, or even American bison. A quick 30 minute detour takes you to Robert’s Prairie Dog Town where you can try to catch a glimpse of the cute little mammals. One thing you are sure to see is an amazing panoramic view of the park’s beautiful landscapes. Eight hiking trails sprawl the lands including two just right for little ones: Cliff Shelf Nature Trail (.5 mile) or Fossil Exhibit Trail (.25 mile). In the summer, Night Sky Programs are an incredible way to end your day under a blanket of stars most urbanites have never imagined. South Dakota’s land is full (er… I suppose, surprisingly hollow) of caves ready for exploration. Caves present kids (& grownups) with a unique, mysterious and always interesting look into life underground. 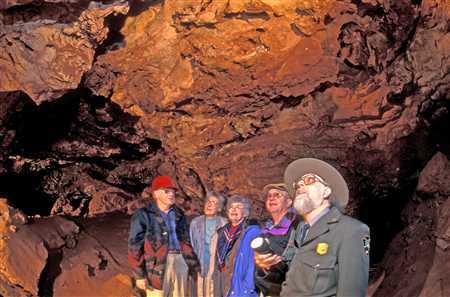 Wind Cave National Park and Jewel Cave National Monument are must stops; the two cave systems together run almost 300 miles underground! Numerous tour options are available and run daily except on holidays. Rushmore Cave has the adreneline junky family covered with not only their simple cave tour, but the option of flying on a zip line or taking an advanced spelunking tour where you will literally have to crawl on your belly through tight spaces! (Claustrophic folks, take a deep breath now!!) Experienced hikers will enjoy the 45 minute hike at Sitting Bull Crystal Caverns, but children under three are only allowed in backpacks. If you are hoping to find some gold during your trip underground, head to Big Thunder Gold Mine where you are guaranteed to end your tour a small bit richer! Tips for cave expeditions: pack a sweater as it gets very chilly down in the earth. Be sure to check out the activity level of the tours; you can’t exactly decide mid-cave that it is too strenous. You always have to climb the uphill portion of the hike as you exit, so plan accordingly. Travel back in time 26,000 years at the Mammoth Site of Hot Springs where a unique sinkhole created a treasure of fossil remains from the ice age. 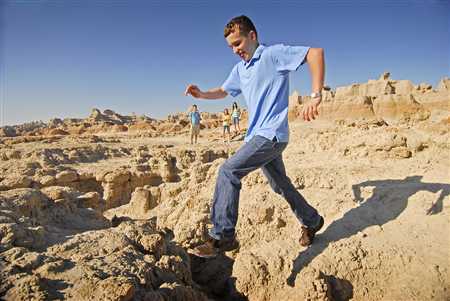 The Mammoth Site is a must stop for any family with a budding paleontologist in tow, and has enough hands on activities that even non-scientists will applaud their visit. 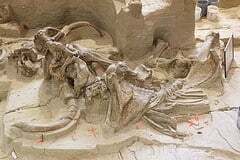 Home of the world’s largest Mammoth Research facility, you can tour both an active paleontology dig site and see real ice age fossils as they are found (which include over 58 Colombian and Woolly Mammoth fossils, in addition to numerous other animals). The museum takes on an especially active summer with programs for kids including an hour long Jr. Paleontologist program that gets your kids in the dirt with a simulated excavation held daily. Older kids are invited to participate in a more advanced simulated dig as well. Lewis and Clark, some of our countries original “trekaroos”, followed the Missouri River through the state of South Dakota and so can you. There are many interstates and trails following the route and lots of stops along the way for a glimpse into what their travels were like. Spirit Mound, near Vermillion, SD in the southeast serves as a great starting point for your trek and a beautiful spot to picnic. Due to changes in the river over time, this is one of the only spots you can be absolutely certain to stand where the explorers once stood. The nearby Lewis & Clark Visitor’s Center in Yankton provides an overview of the history of the duo and great views of Lewis & Clark Lake and Recreation Center. The Rec Center is one of South Dakota’s most popular parks and boasts three campgrounds, a resort, playgrounds, fishing, swimming areas, and even WiFi, which no doubt would have been handy for Lewis & Clark! Further north in Pierre, the state capitol, take a boat ride on the Capitol City Queen to view famous landmarks and history of the adventure from the water. Head to Farm Island for another great recreation and camping spot. While there check out the Lewis and Clark Family Center for hands on interactive displays focusing on the history of their expeditions. In 1876, the mining town Deadwood was born almost overnight as miners, outlaws, gunslingers and gamblers moseyed into town to search for gold. The entire city of Deadwood is a national historic landmark and is ripe for historic and entertaining tourism. Start your day with a walk through Adams House & Museum, Deadwood’s oldest museum full of historical artifacts on the town. 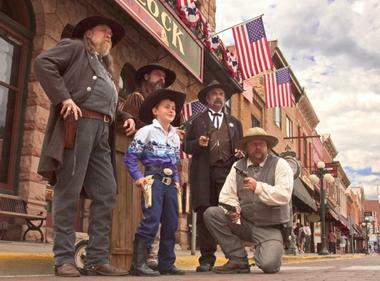 Pan for gold at the Broken Boot Mine, or be a part of the daily reenactments of history including the shooting of Wild Bill Hickock at the #10 Saloon, or gunslinger shows on the street in front of the Four Aces, or the Celebrity Hotel (now actual gambling casinos, which are legal in Deadwood). Also note, unless you are an uber fan of bikers, be sure to check the dates of the annual Sturgis Harley Davidson Rally in early August before planning your trip: the town is literally overrun with bikers and many of the town’s normal activities are put on hold. Just a short drive outside of Deadwood, don’t miss the 1880 Train, a working vintage steam train that takes you on a beautiful historic route through the heart of South Dakota’s gold-panning history. Nine Native American Indian tribes call South Dakota their home and your trip wouldn’t be complete without visiting some of the amazing cultural and historical destinations that offer a glimpse into the Native American experience. 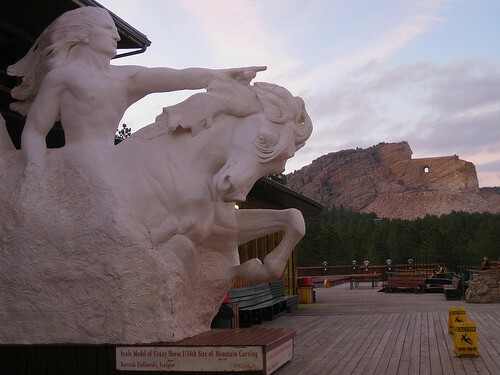 The Crazy Horse Memorial near Custer, SD is a cultural work-of-art in process: a massive rock sculpture (not yet finished, but already impressive) of Crazy Horse, the famous Native American leader. Although the mountain is still being carved, don’t miss this stop. The Indian Museum of North America and Native American Education & Cultural Center are located on the premises. The South Dakota Art Museum in Brookings showcases numerous Native American artists and even has a hands on “Kids Sensation Station” to keep small ones interested. The Native American Scenic Byway takes travelers over 450 miles, through five reservations and past countless markers and monuments including the Sitting Bull Monument and Fort Pierre, where Lewis & Clark met with the Native American Indians. If your children are mature enough, be sure to take them to the Wounded Knee Museum in Wall and the actual site of the Wounded Knee Massacre; despite the heavy nature of the topic, I believe that a thorough understanding of this event, and many more like it in Native American history, will help our children grow to be respectful and responsible leaders of tomorrow. 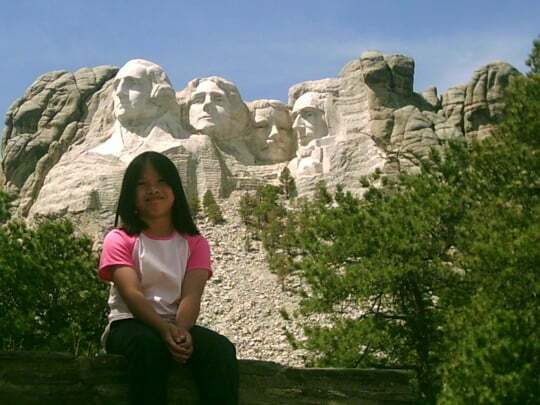 Mount Rushmore National Memorial, located in the southwestern part of the state is one of America’s most famous landmarks and can’t be missed. Almost every Trekaroo user gives it 5/5 stars! I have fond memories of visiting the famous faces of Jefferson, Lincoln, Washington and Roosevelt as a kid and remember being especially intrigued by the ingenuity and skill required to complete such a masterpiece so long ago. Sculptor Gutzon Borglum began this masterpiece in 1927 and it took over 10 years to create; it is truly an amazing work of art and an awesome tribute to our great nation. Two short trails are worth the investment to get away from the crowds and closer to the Presidents’ 60-foot faces. Pick up a Jr. Ranger guidebook before you set out at the Visitor’s Center to really help bring history alive for your little ones. The Sculpter’s Studio, which is sure to inspire any budding artist, is open daily in the summer months, and Carver’s Café serves up yummy treats including ice cream to sweeten the end of your tour year round. South Dakota boasts 54 state parks and recreation areas full of beautiful lakes, breath-taking rocks and waterfalls, flowing prairies and deep, dense woods. My personal favorite, Custer State Park, happens to be one of the most beautiful places I have ever visited; it is centrally located just minutes from Mt. Rushmore and the Crazy Horse monuments and is less than one hour away from almost every activity in this guide. Three incredible, scenic 60-minute drives run through the park: Needles Highway, open only in the warmer months, takes its name from the “needle-like granite formations which seem to pierce the horizon along the highway.” Iron Mountain Road is meant to be taken at a leisurely 20mph to fully take in the amazing beauty. In case the sheer beauty of rock, prairie, and river landscapes doesn’t completely excite your child, never fear. The last major scenic route, Wilderness Loop, almost guarantees that you and your family will have an animal encounter. In addition to deer, sheep, and elk, free-loading burros will most likely approach your car for food, and you might just run into one (or many) of the park’s 1300 buffalo!! This park boasts numerous campgrounds, cabin rentals, and even the Custer State Park Resort with four different lodges hosting a variety of activities including horseback riding, a chuck wagon cookout and off-road Jeep tours that take you to close encounters with the park’s buffalo. 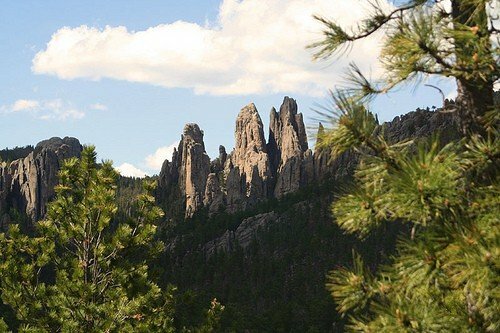 Custer State Park’s amazing natural beauty, the wide array of options, and it’s close proximity with so many of the state’s famous wonders make it your best bet for visiting the diverse and beautiful South Dakota. Ha Ha Ha Free-loading burros! That’s great! I want to visit South Dakota now! 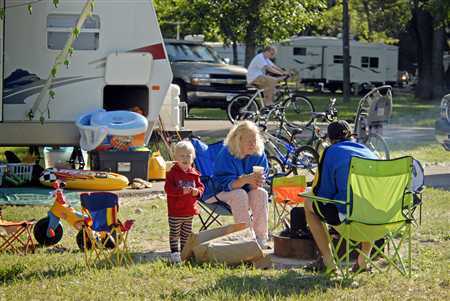 Thank you for the nice piece on ideas for families in South Dakota. You compiled the writing and the imagery very well and represented the entire state. Thank you! Oh, and Tina…the mention of “free-loading” burros is spot-on. They are the mascots of Custer State Park, my favorite friendly faces! Hey Katie, thanks for opening our eyes to South Dakota! I’m scratching my head trying to figure out how to make a trip happen for our family soon. The last time I was there, was on a road trip back in college when Brennan and I were just dating. Time flies. Glad you enjoyed the post, Katlyn. It was fun to write and inspired me to get back to South Dakota with my youngest ones who have never been!!! South Dakota was one of our favorite surprises on our cross-country trek last summer. My 3-year-old loved the Badlands so much that we have a photo enlarged and on our dining room wall! Fall’s Park in Sioux Falls, Dinosaur Park in Rapid City, Storybook Island in Aberdeen (& the one in Rapid City), the Museum of Geology @ the School of Mines, the Children’s Museum in Brookings and finally visit Bedrock in Custer just to name a few more!!! South Dakota is terrific. A client recommended it, and all I could think of to see was Mount Rushmore: “Big heads, twenty minutes, now what?” BIG mistake. 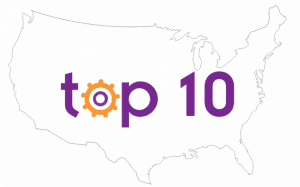 We hit a lot of the sites on this list, and would go back in a heartbeat. Mount Rushmore? Well worth a minimum of two hours, and then go back for the night show. Also, in Deadwood, be sure — SURE — to see the small play about the trial of the guy who shot Wild Bill Hickock. At something like $4 per adult and $3 per child, it was a bargain, and a highlight of the trip. Badlands, Custer State Park, Wind Cave, town of Custer, the list goes on. South Dakota is terrific. We have been trying to make this trip happen for a couple of years. Ths is inspiring me to get it going this year! Yay! You definitely should, travelsoutstravelB. I want to take my kids back now that they are a bit older. So much to do in South Dakota.